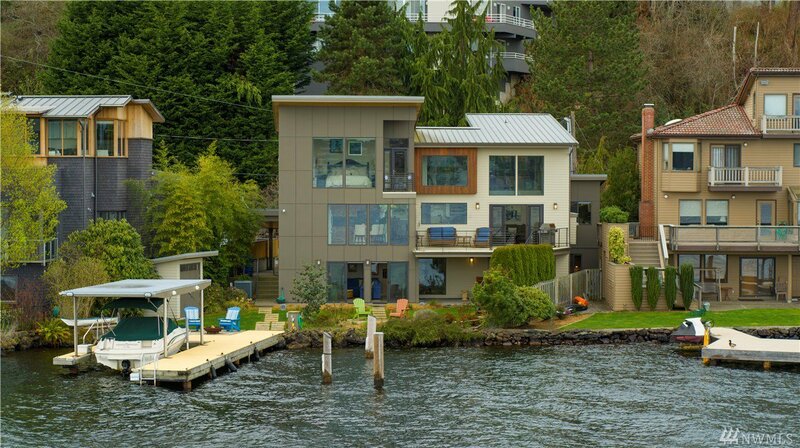 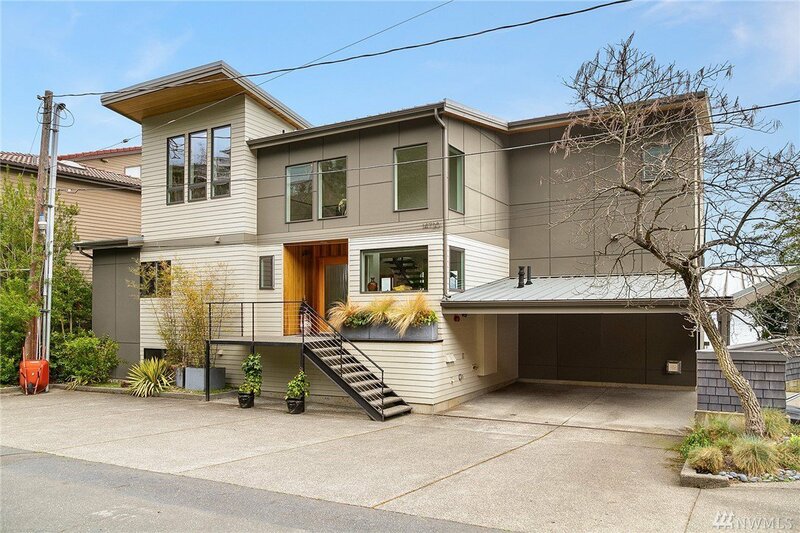 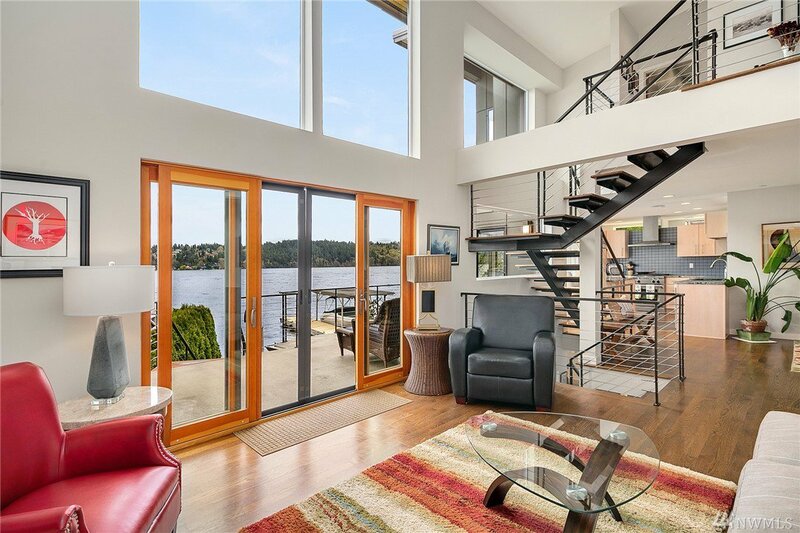 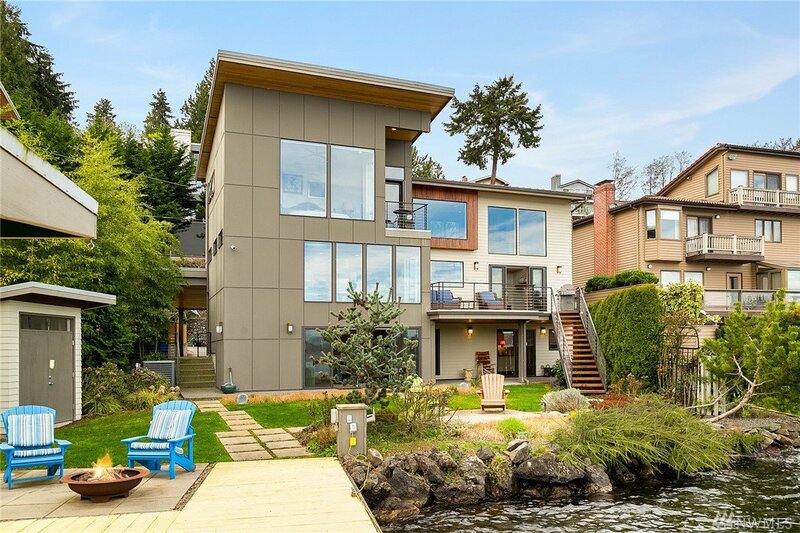 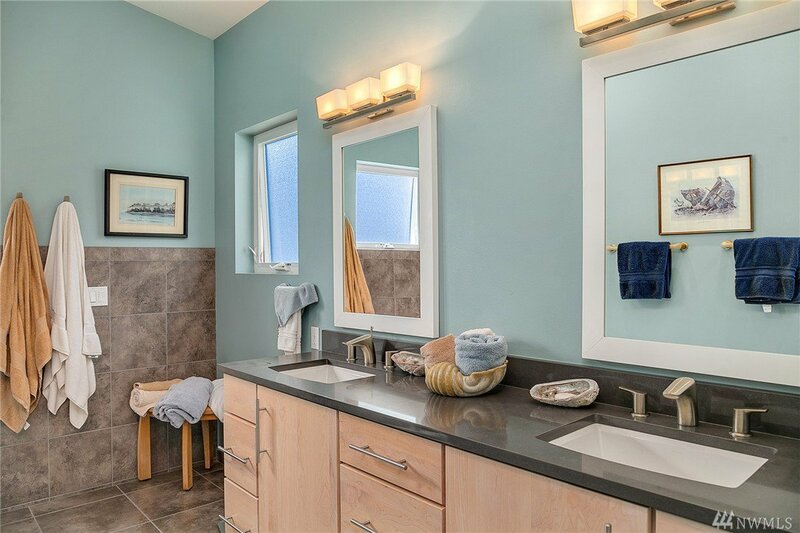 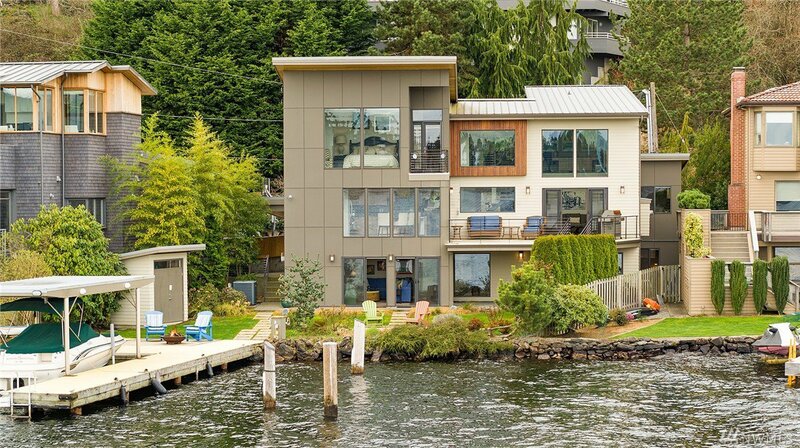 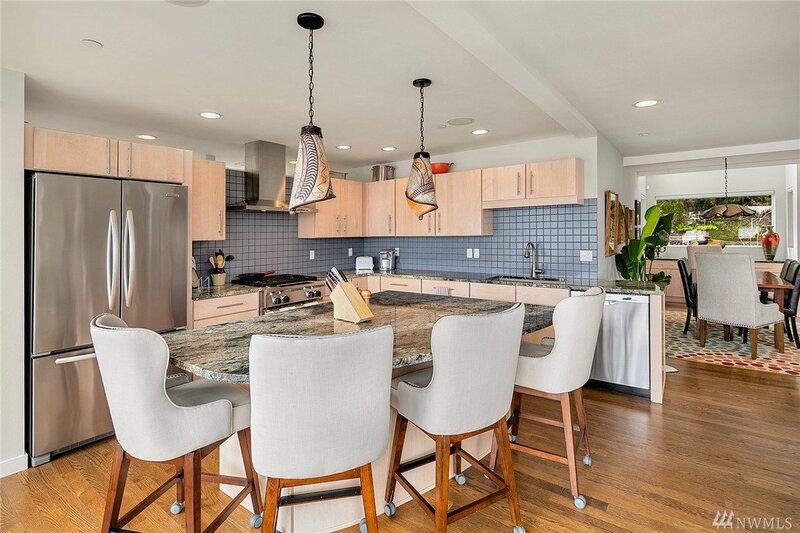 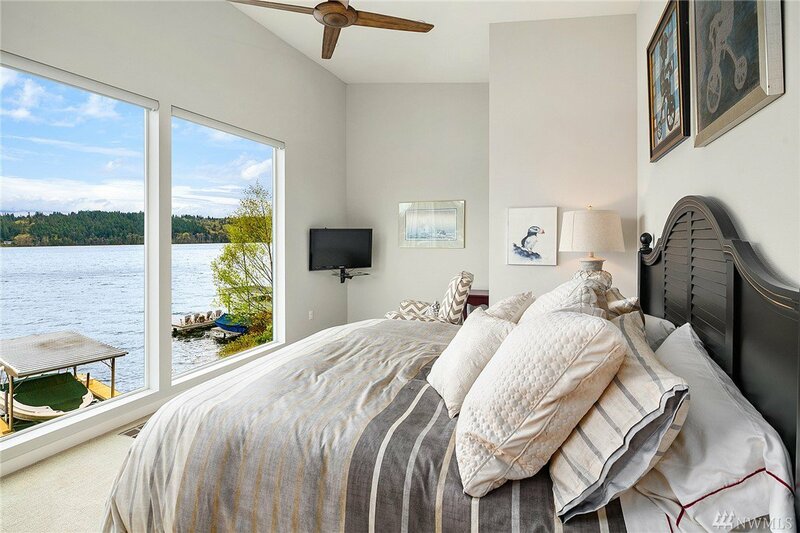 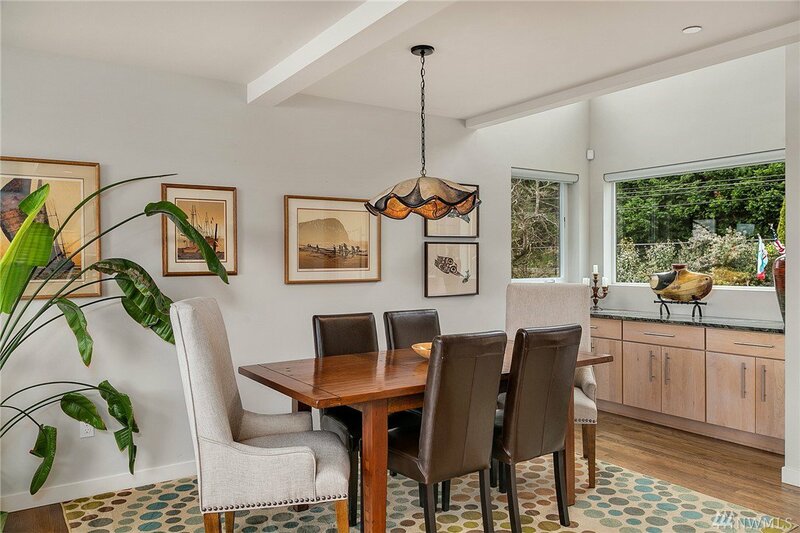 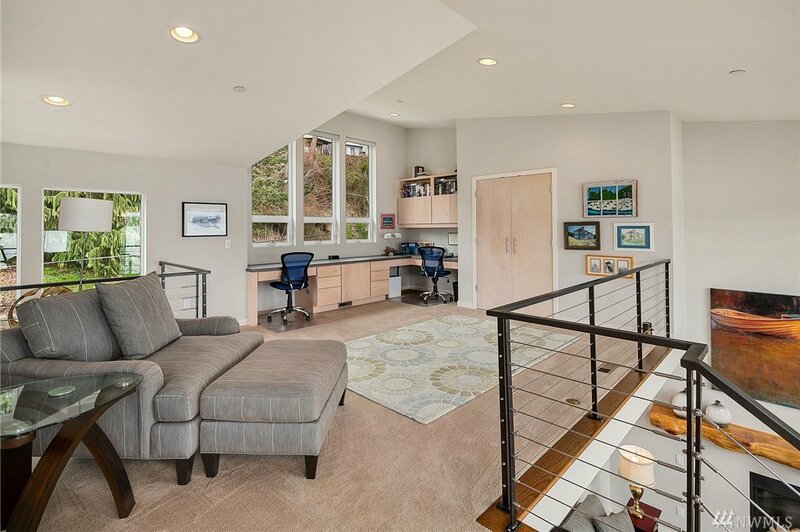 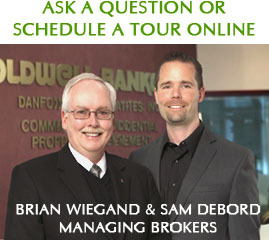 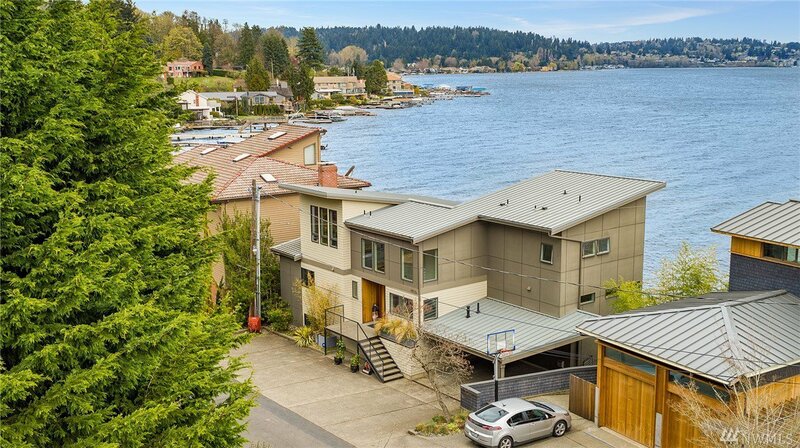 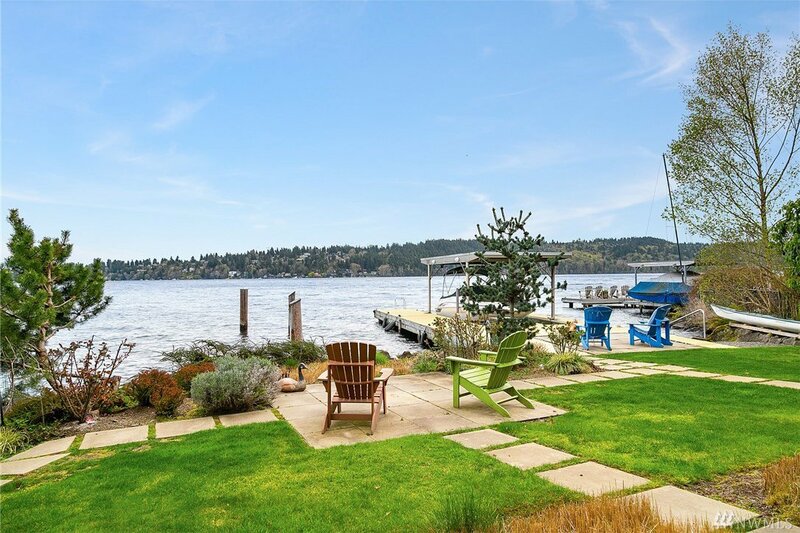 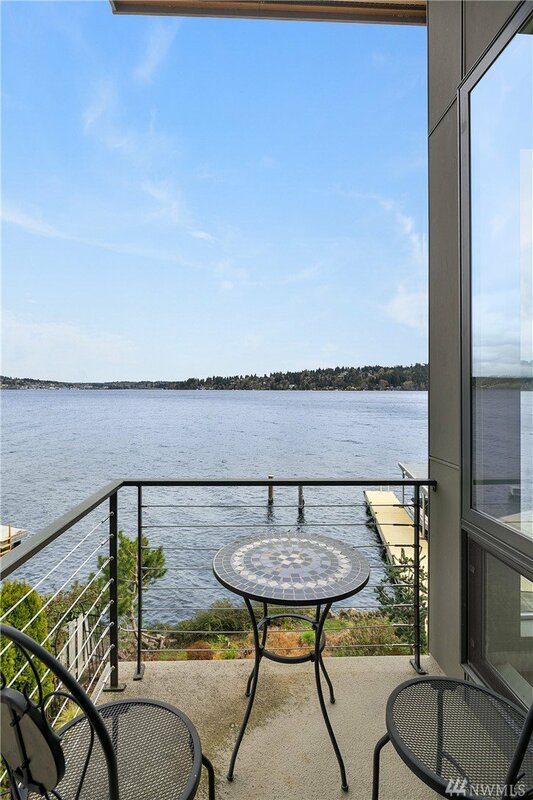 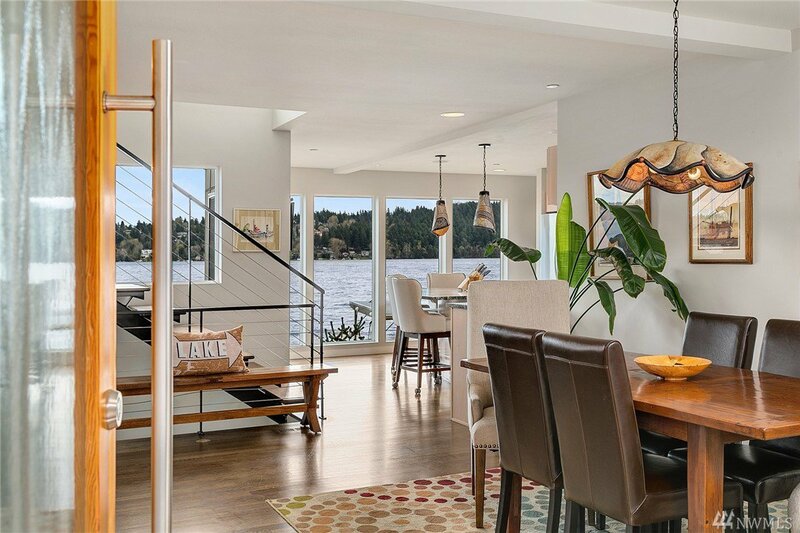 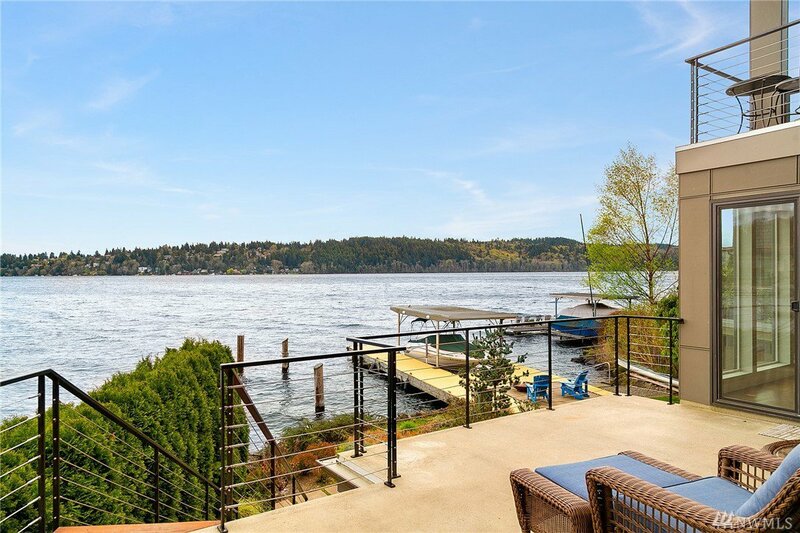 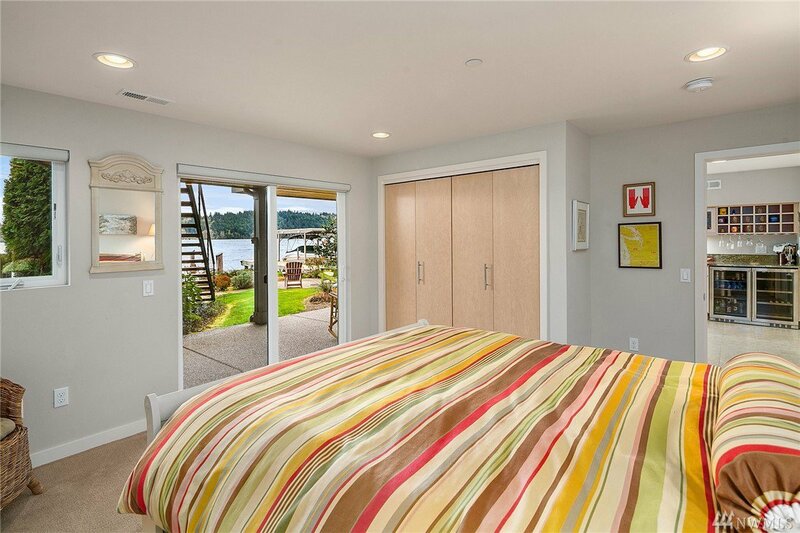 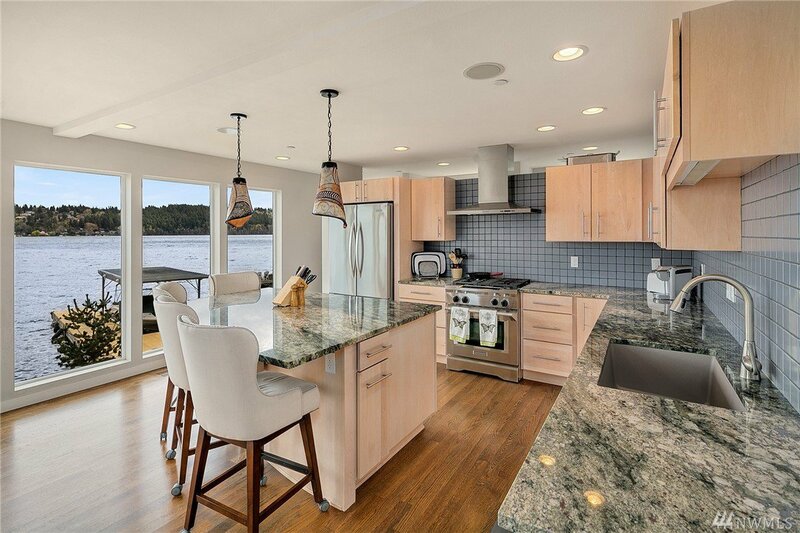 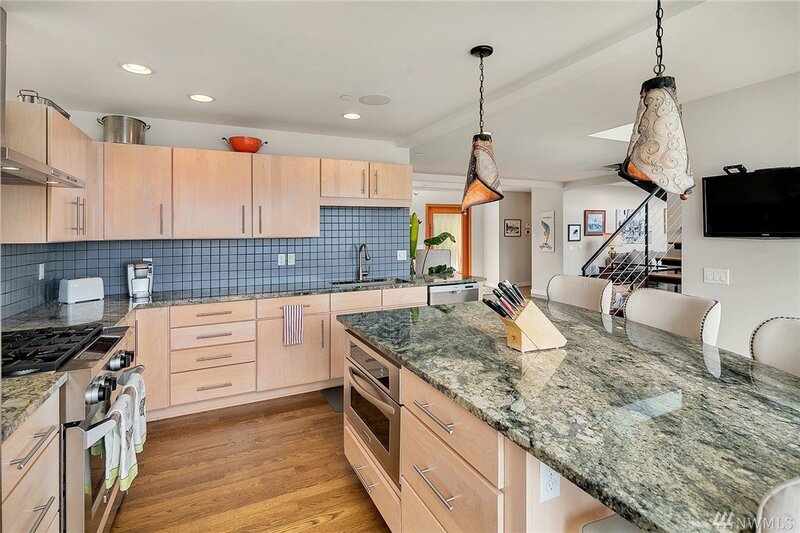 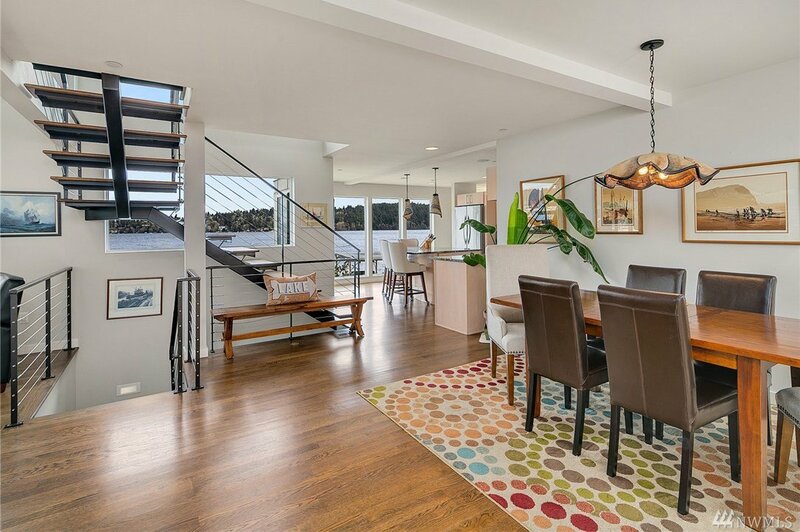 Spectacular NW contemporary w/63’ of prime no-bank waterfront. 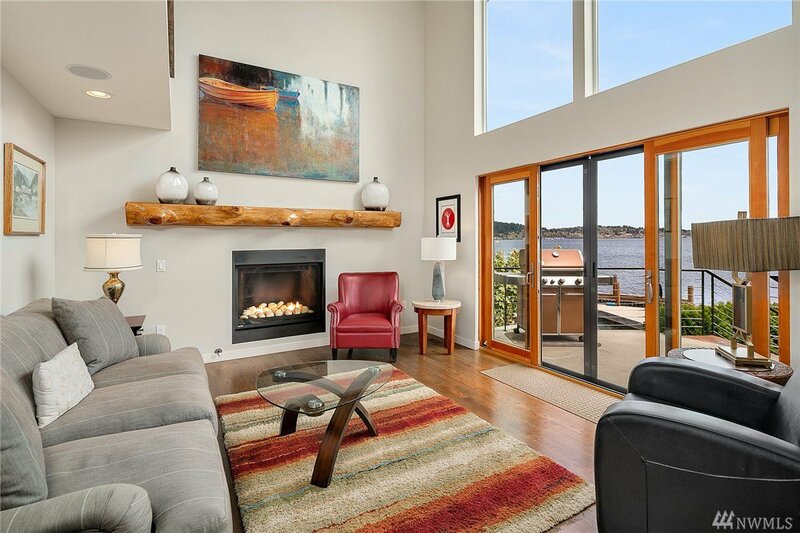 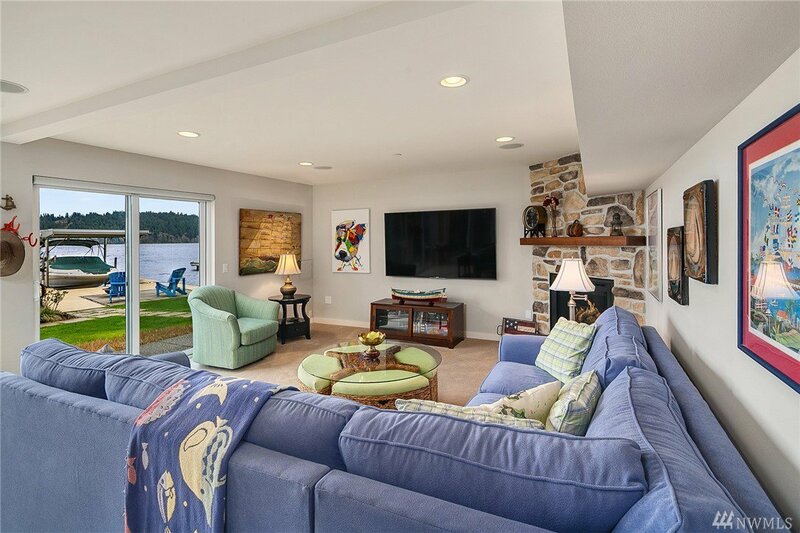 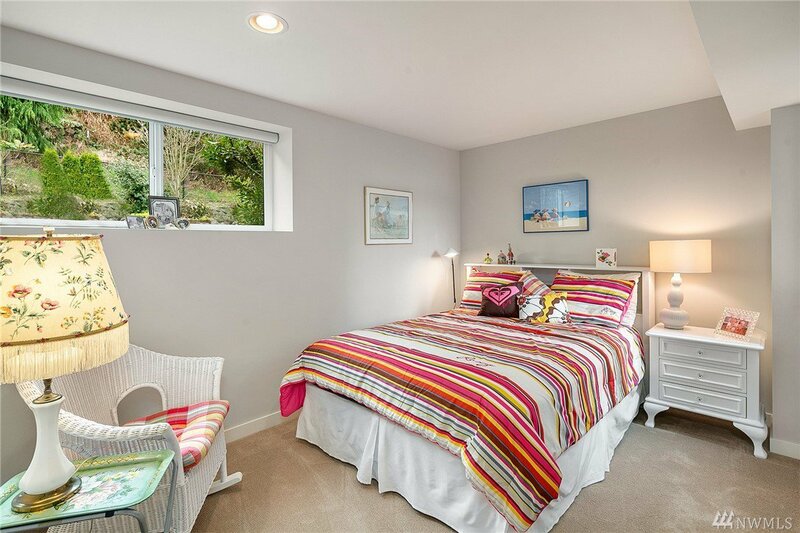 Open floorplan boasts walls of windows maximizing breathtaking views of entire N end of Lk WA & Cascade Mts. 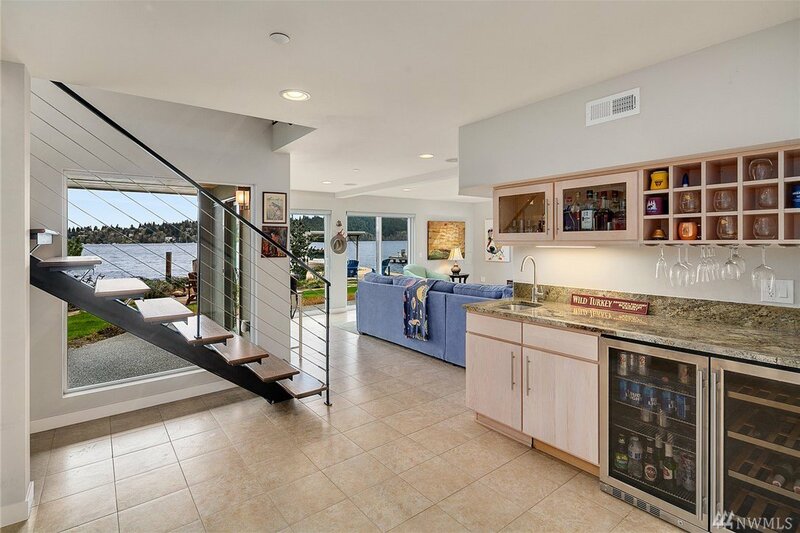 Interior ftrs chef’s kitchen w/island, floating steel staircase, upper level den/office & ground floor rec rm. 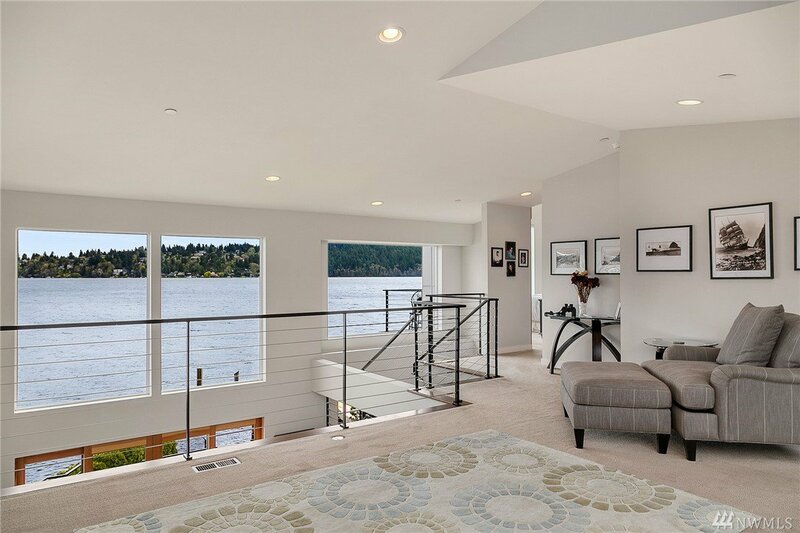 Home blends indoor & outdoor living spaces w/covered patio, level lawn & entertaining pad at water’s edge! 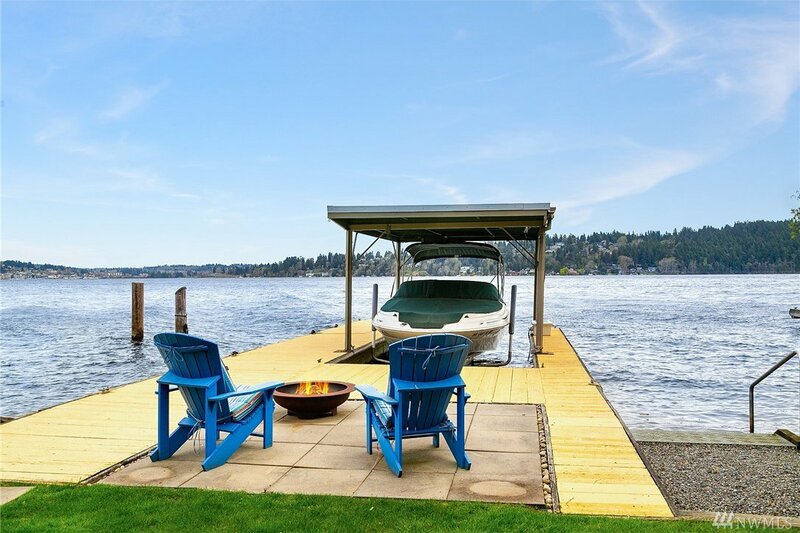 Tremendous lake frontage w/deep water moorage, large dock, boat lift & rare covered boat slip in A+ location!